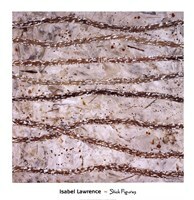 Isabel Lawrence was born in Melbourne Australia. Her artistic talent has always sought expression; she received her first art acknowledgement as a junior in open age competitions and exhibits. Later, in her teens and working in Melbourne’s central business district, she discovered photography and experimented with the macro lens. Through this she developed her unique perception of the urban landscape. Piles of discarded paper, grains of sand, and fractured concrete became her models. She was inspired by geometric imagery that was emerging – she later translated these complex interpretations into paint on canvas. Currently, with a number of prestigious exhibitions under her belt, her popularity as an artist is rapidly spreading. 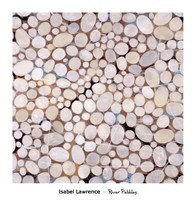 Isabel uses rhythmic shape and brilliant color that she combines with her characteristic use of enlarged perspective to create works of art on canvas that are increasingly becoming popular with the public. Her art is now well represented in both public and private collections within the US, Japan, Australia, New Zealand and England. Her success has been driven by her devotion to a modern interpretation of the urban landscape and her unique depictions of popular culture. 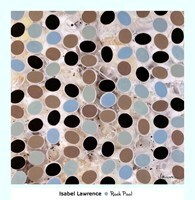 Isabel has always bee fascinated with rhythms and patterns that are found in our everyday lives. Her drive to paint texture comes from deep within her core. She sees immense beauty in form and color when portrayed in her work. Many of her graphic images are delicate line and form, so she paints as if no brush stroke exists on the canvas. 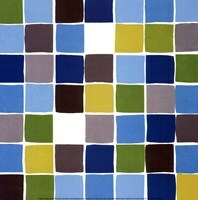 She usually selects palettes that are non-representational to add extra emphasis to her abstracted views.